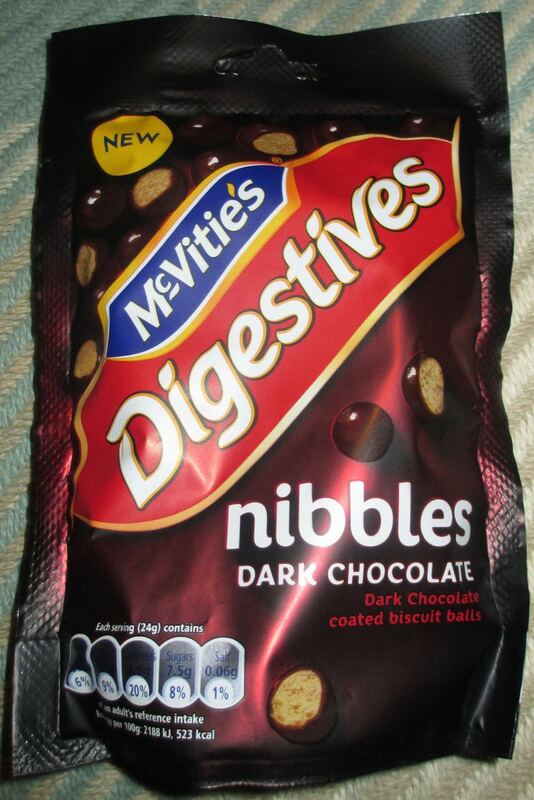 A new biscuit product from McVities is always exciting, and these are quite a change of format for the biscuit brand. McVities Dark Chocolate Nibbles are small balls of McVities biscuits wrapped in chocolate, there are various varieties too, from milk chocolate, caramel, double chocolate and dark chocolate which are the ones I went for first. The biscuits nibbles are in the form of a handy sharing grab bag. If you don't want to share there is re-seal sticker on the back too! The first thing I noticed once the pack was opened was just how shiny they were, they are so very glossy, but more on that later. The other thing was the chocolate scent, they smelt lovely, lots of dark chocolate tones. I had a munch on these and found that as someone who chooses chocolate over biscuit, they had the best ratio of these ingredients on a biscuit for me. 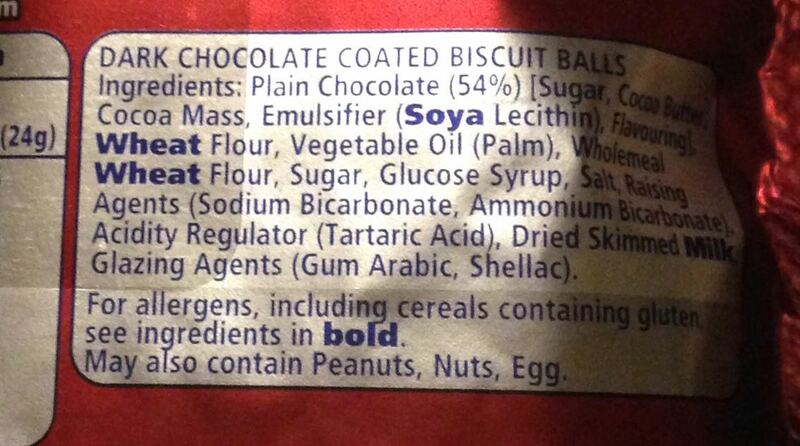 These is a fair bit of chocolate for every biscuit bite. The chocolate was nice too, it was dark and had 54% cocoa. The biscuit was perfectly crunchy and the flavour was that lovely baked wholesome taste. I was enjoying munching through my portion. It was then that I casually glanced at the ingredients, and noticed "shellac". As a manicure addict, my immediate thought was did they mean like the long lasting nail varnish? They sort of did. 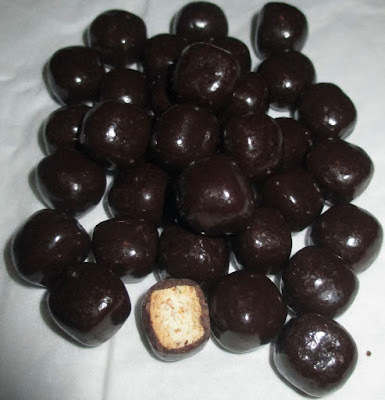 I mentioned how glossy these chocolate biscuit balls were, and it turns out shellac has many purposes including being used as a confectioners glaze. My first Google search they told me what Shellac is, it is an excretion by Lac Insects to help stick their eggs to trees. Being a sensitive sort this did make me judge them, although it's use in the food industry is common apparently. It's like when I discovered what the red food colouring cochineal was... (again insect based). Anyway that aside I enjoyed the biscuits, if I can just stop myself from thinking about how shiny they are, I'll be okay.